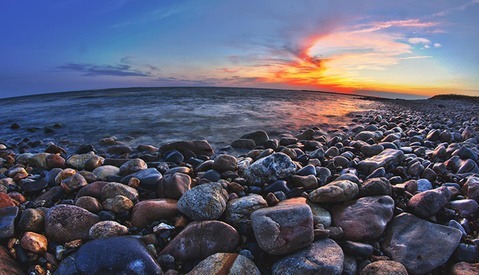 Images shot after sunset, using natural light, can be among the trickiest to post-process properly. 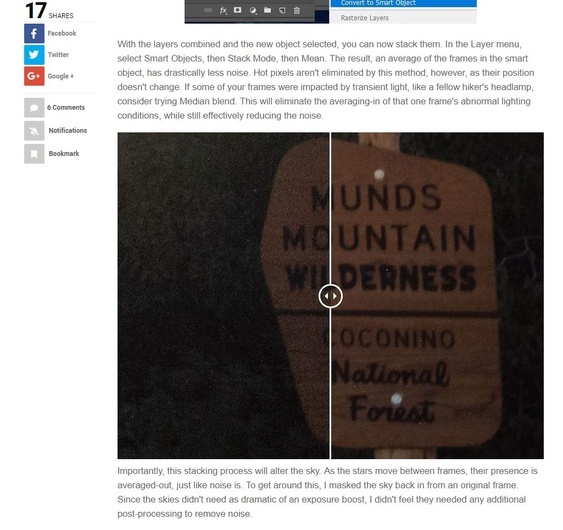 This guide provides a walkthrough of my post-processing steps for a recent night shot, and introduces a number of techniques I find essential for optimal night photos. The setup for a night image starts before I even get out the camera. 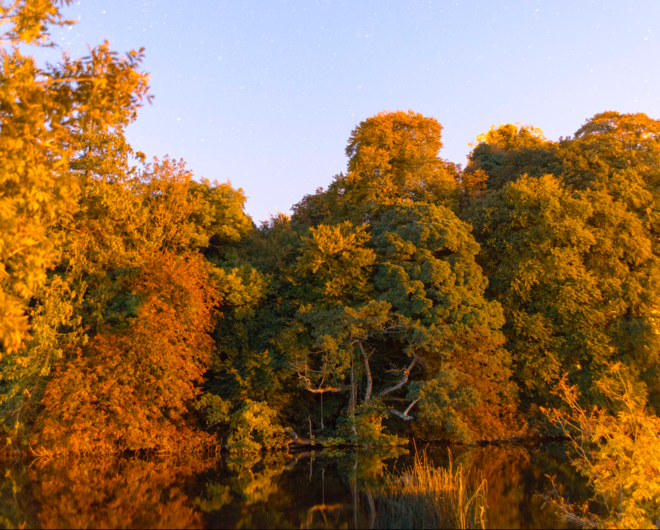 Depending on the look I'm going for, I'll choose a particular evening to shoot, based on the phase of the moon. For this image, I didn't actually have a choice as a result of my travel plans. 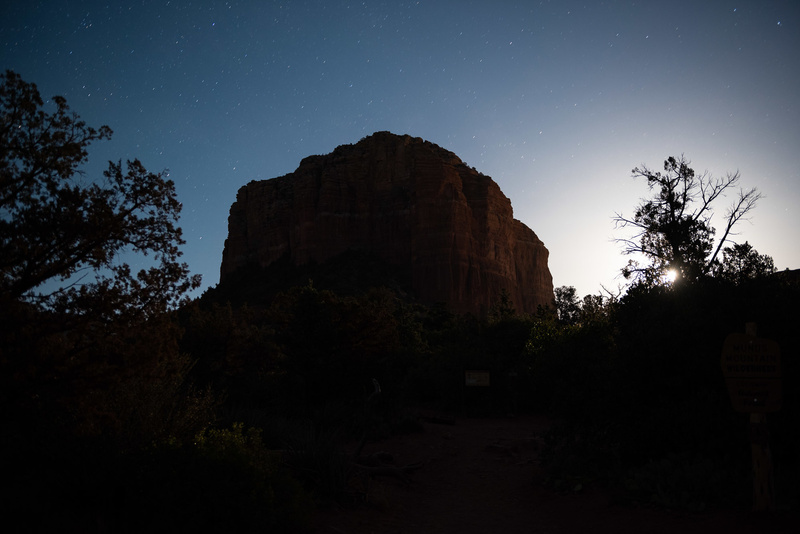 I was shooting under an almost full moon, which presented the challenge of a substantial contrast between what's being illuminated by the moon and what is in shadow. I faced another limitation, as my shutter release cable wasn't working. This prevented me from using exposures longer than 30 seconds, as I couldn't use bulb mode effectively. Despite a broken cable release, I had the essentials: my tripod, a few fast aperture lenses, and some flashlights. For planning, I used PhotoPills earlier that afternoon to visualize some compositions. 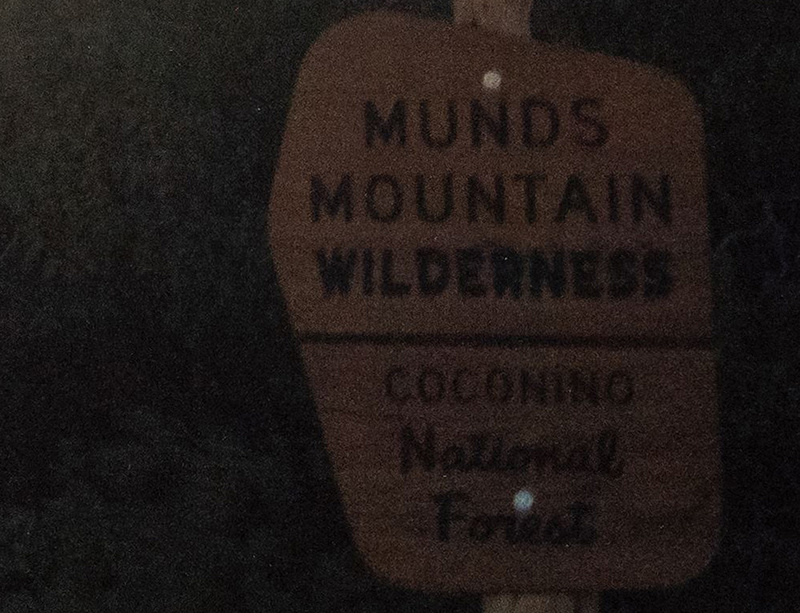 I wanted to feature one of the classic National Forest signs, as well as be far enough from the highway to avoid headlights. 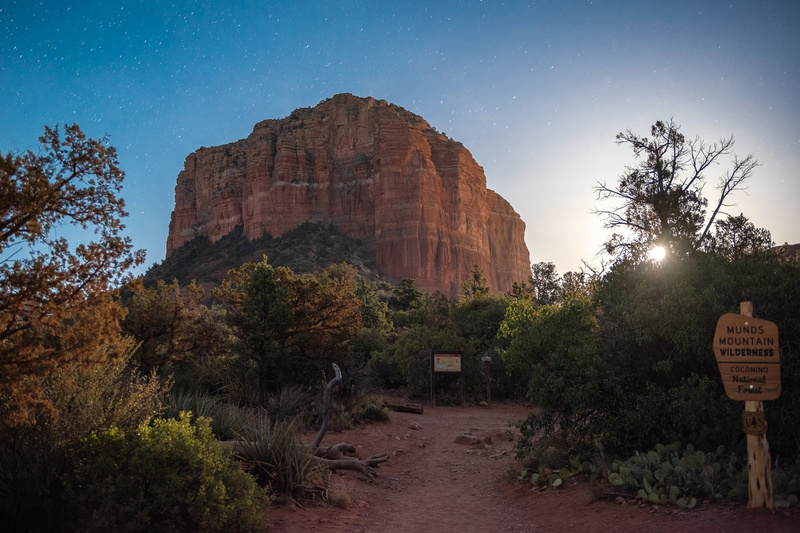 For this shot, the moon was rising behind one of Sedona's iconic rock formations, and I loved how the light was just breaking through the trees, almost like a sunrise. I wanted to keep the highlights from totally over exposing, and so I ended up with an exposure of 30 seconds at f/2.8. I knew that I had a lot of room to raise the shadows without much damage to the colors. The frame I ended up with straight out of camera could work. The moon itself had blown out, but much of the surrounding area still retained information. Equally important, the dark areas weren't completely lost, despite what the JPEG looks like. This is actually one of four frames I shot with this composition, all with identical settings. All of my basic adjustments were done in Lightroom. Starting with exposure, I boosted the overall exposure by 1.5. This really brought out the dark areas when combined with +50 on the shadows slider. I balanced out that exposure increase with -60 on the highlights to prevent the moon and surrounding area from becoming too overexposed. The highlights slider can very quickly turn bright areas gray, however, especially when they are right on the cusp of unrecoverable. Clipping warnings, turned on via the J key, can really help visualize where information is being lost. Holding Alt while dragging the exposure sliders also provides a helpful clipping warning. With the basics done, I synced the settings across the different frames. This is a great way to batch changes to similar frames, particularly when the changes are unique enough to not merit the creation of a preset. The Lightroom adjustments were meant to give me a good starting place in Photoshop. The image has a much more reasonable level of contrast, almost verging on too flat. Unfortunately, the large boost in exposure left me with quite a bit of noise in the shadows. While I could apply a heavy level of noise reduction, either in Lightroom or via Photoshop, I had another option. As I was shooting on a tripod, under identical settings, I could make use of stacking the similar exposures to reduce noise. This process is very simple and doesn't require any plugins. With the frames selected in Lightroom, open them in Photoshop as layers. At this point, I duplicate the layers and select the new copies. 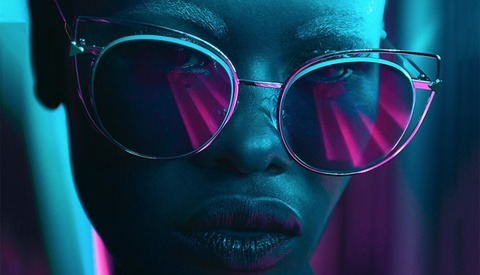 I prefer to keep the original frames available in Photoshop in case I want to use something from them, which is particularly important for an image like this. 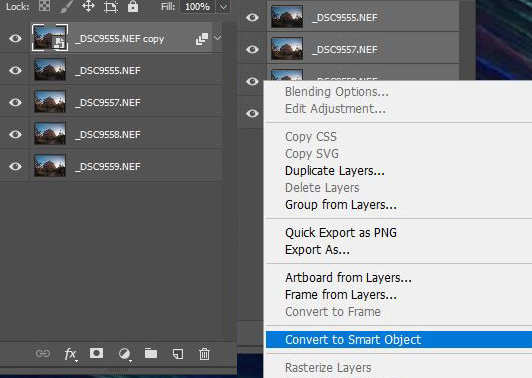 With the new copies selected, convert them into a Smart Object via a right click on the selected layers. This can take a few seconds and will consume some memory. If your computer is resource constrained, feel free to skip the duplication of layers, as this can save you some RAM. With the layers combined and the new object selected, you can now stack them. In the Layer menu, select Smart Objects, then Stack Mode, then Mean. The result, an average of the frames in the smart object, has drastically less noise. Hot pixels aren't eliminated by this method, however, as their position doesn't change. 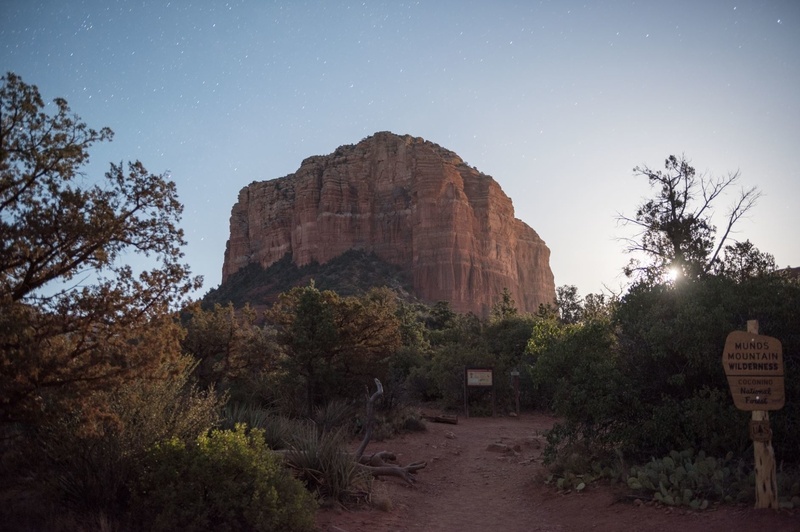 If some of your frames were impacted by transient light, like a fellow hiker's headlamp, consider trying Median blend. This will eliminate the averaging-in of that one frame's abnormal lighting conditions, while still effectively reducing the noise. Importantly, this stacking process will alter the sky. As the stars move between frames, their presence is averaged-out, just like noise is. To get around this, I masked the sky back in from an original frame. Since the skies didn't need as dramatic of an exposure boost, I didn't feel they needed any additional post-processing to remove noise. To make the selection around the tree limbs, I was able to select via color, taking advantage of the distinct color difference in the sky and foreground. I now had two relevant layers with the sky and stacked layers separate. I kept them this way as there a number of adjustments I still wanted to make. Across the foreground, I increased some of the saturation of the reds and yellows, which lost some of their vibrancy due to the white balance settings. I also noticed some fringing on the tree branches, which was easily removed via the Camera Raw filter. In the sky, I boosted contrast and increased the saturation to bring out the moon glow. Finally, there were a number of hot pixels in distracting places. To address them, it was easiest to combine the visible layers via Merge Visible under the Layers menu. My process for removing hot pixels isn't the most efficient, so I'd be happy to hear any recommendations for techniques or plugins to improve this step. From that combined layer, I added an adjustment layer with an increase in contrast and saturation to make the hot pixels stand out more. With the combined layer selected, I went in and cloned out the problem spots. I'm happy with my final image. 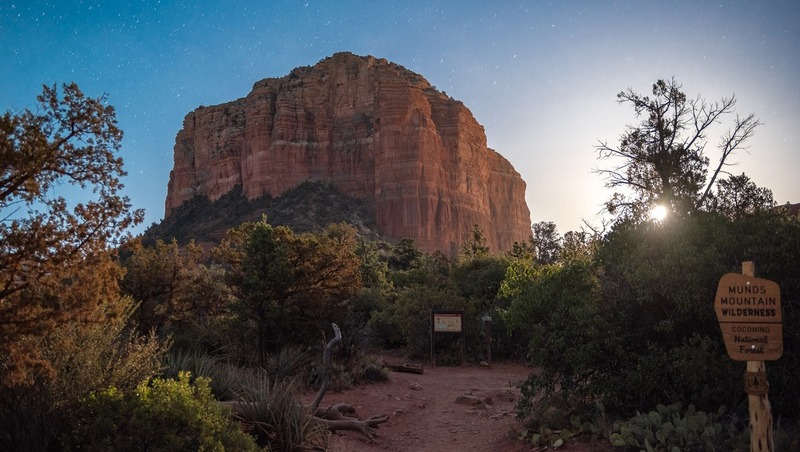 I had visualized a shot featuring some of the key elements of Sedona, namely the famous red rock formations and iconic national forest signage. There are dozens of ways to address each issue in that image in post. Luminosity masking, HDR, and even just blending the sky with a brighter foreground exposure all work. The stacking method generates a clean file, and I find it among the easiest to visualize in the field. Have you tried stacking before? 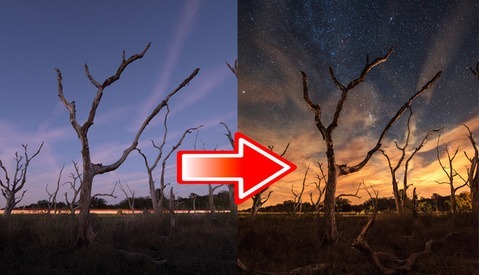 How would you process your night shots differently? I think cooling down the image just a tiny bit would look better. What a lovely result for a great workflow. I'm really pleased with the cleaner images that come from stacking like this. I find that it's easier to "close the loop" in the field when shooting a 30 second exposure versus 2 minute+ exposures, even if it means an extra step in post. I would be curious to see the final result @100%, specially the "raised shadows". About halfway through the article you'll see a before/after slider that may be relevant to your question. On a 1500 pixels image I surely cannot see the quantity of noise generated in the dark area. 1500 pixels images generally look good on a monitor, even if they are noisy. This is the reason why I asked to see a 100% crop. I am curious to see the difference of noise between the "open shadows" in LR and the stacking technique in PS. You should show that clearly to illustrate better you article. Do you not have that slider? That's a 100% before and after crop of an area that is near black in the original image, showing the dark areas with plus 1.5 exposure/ 50 shadows in Lightroom. If it isn't appearing, you may want to try another browser or disabling any adblock. The issue with this before/after plugin is known for some time. Many people don't see it. I, for example, usually don't see it after initial page load. I have to refresh the page, and then it appears and behaves as normal. I'll mention that to the team. Thanks! I don't see it in Safari. But I can see it in Chrome. The difference is really noticeable! I enjoy night photography. This image was 30sec @f3.5. Can't remember what post processing I did as it was taken in Oct 2016.